I usually send Jen T. something for her birthday but this year I was forgetful so now that she’s in town I decided to make her a belated birthday dinner. I was driving into Austin today from Houston so I wanted to pick something that’s easy. 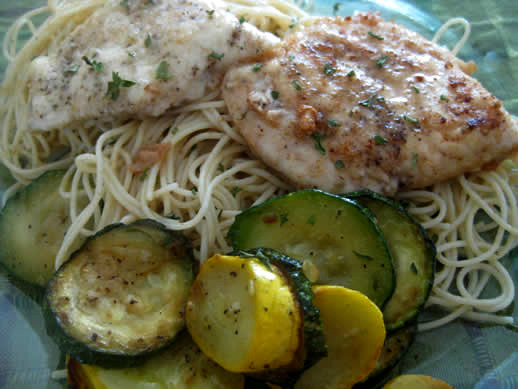 I found a Giada recipe for Chicken Piccata. I’ve never tried making Chicken Piccata before so it’s also expanding my horizons. It’s pretty easy. The only change I made to the recipe was not put in capers. I bought pickled capers inadvertently. Oops. For sides, I just sauteed squash and zucchini. I liked it. Jennifer and Brandi didn’t complain and Jen wanted the recipe. I consider that successful. 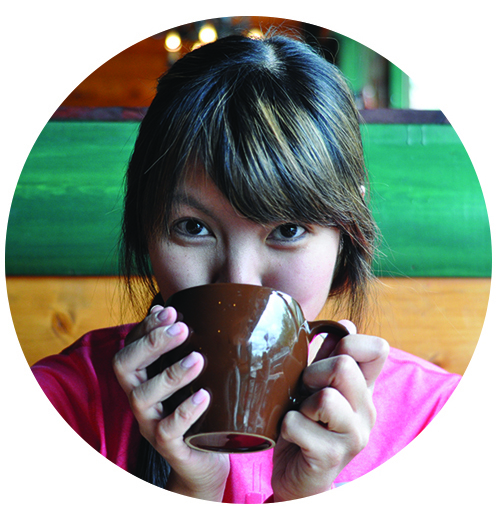 It’s always kind of unnerving to make something for the first time for people. Then for desserts I made Banana Nutella crepes. I’ve made these a few times back when I was living with Alan. The batter makes approximately 18 crepes. Every time I make these crepes I call a bunch of people to come over to help eat. Nisreen and Nino and Jessica joined us for desserts. It’s an incredibly easy recipe. The only change I made was I sprinkled cocoa powder on top of the whip cream. It was delicious. Nutella is where it’s at. Sift the flour with the salt into a bowl. Make a well in the center and add the egg and egg yolk. Pour in the milk, slowly, stirring constantly and, when half is added, stir in the melted butter and vanilla. Beat well until smooth. Add the remaining milk, cover and let stand at room temperature for at least 20 minutes before using. The batter should be the consistency of light cream. Heat a well greased 6-inch skillet,. Add 1/4 cup batter. Tip skillet from side to side until batter covers bottom. Cook until the bottom is golden brown, turn and remove to a plate. Repeat with remaining batter. 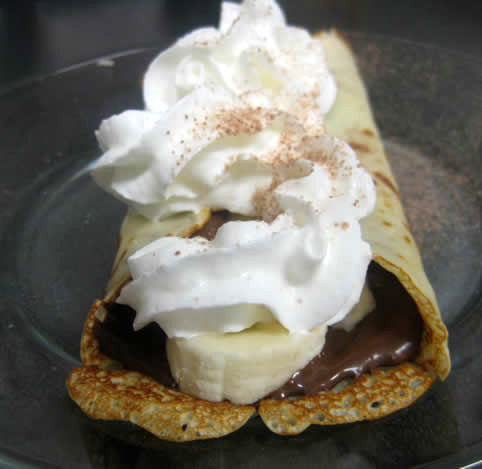 Spread a thin layer of chocolate hazelnut spread onto crepe and place banana slices down the center. Roll or fold crepe. Just before serving top with whipped cream. All in all I spent 26 dollars and fed 3 people (4 if you include the leftover box I made for Alan) dinner and 5 people dessert. I used to cook pretty often over a year ago when living with Alan because we had a lot of counter space. I loved it. But then I took a year off of cooking (I think I cooked maybe 15 times the whole time I was at my previous apartment) because I had a single sink and hardly any counter space. Now, Brandi and I have a full kitchen again, I plan on cooking more. Can’t wait.